I'm pleased to welcome Lee Frederiksen, Ph.D., Managing Partner at Hinge, as my first guest poster to my blog. Hinge is one of my go-to resources for excellent articles, ebooks, and surveys related to professional service firm marketing. How do your clients and prospects perceive your firm? How visible are you in the marketplace? You may be surprised by the answers. To find out how buyers perceive and select service providers, we conducted a study of 522 buyers and 822 sellers on How Buyers Buy professional services. We looked at five industries, including A/E, to understand what factors are most important to buyers and how buyers view a firm's brand. A firm's brand is its biggest asset. 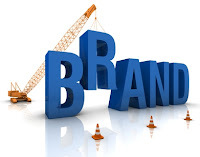 But how do you define a brand? Think of it this way: Your brand is the combination of your reputation x visibility. It goes without saying that you can have a stellar reputation, but being unknown in the marketplace does little good for building your brand. Conversely, visibility across all marketing channels (from traditional to online) with a weak reputation behind it will not win new business. You need both. Be different. Determine what differentiates your firm. Do you specialize in certain services? Publish exceptional research? Or target specific industries? Whatever it may be, when competitors head in one direction, veer down a different path. Be focused. Many companies expand their service offerings to attract more customers. But trying to be everything to everyone is nearly impossible. Instead, find a niche and specialize what you offer. 2. Create valuable content and give it away. Many professional service firms miss the boat when it comes to providing educational content. Yet our research shows that's exactly what buyers value. Use this notion and develop a reputation as an expert in your industry. In addition to traditional ways of reaching prospects (through writing trade articles, speaking engagements, participating on conference panels), embrace online venues (blogs, social networks, webinars) to share your thought leadership. 3. Get personal. Why should a firm's personality be any different when working with current clients versus trying to attract new ones? Instead of blending in with the crowd, let in a little color. Ask for and use customer testimonials that speak to how you work with clients, rather than solely what you accomplished. Keep technical jargon to a minimum on your website. Keeping a friendly, informal voice will make it easy for prospects to understand what you do and how you can help solve their challenges. 4. Make promises and keep them. When we asked buyers what they want to avoid in a service provider, the number one answer was "broken promises" (32%). Additionally, "delivering on promises" was the most significant factor for customer loyalty to a firm (21%). This was more important to customers than an existing relationship (18%) and previous experience working with that firm (11%). Be who you say you are. Deliver what you promise. If you don't, your reputation will soon reflect it. 5. Give your brand a check-up. When developing a brand strategy, make sure your brand image is not dated. Look at your website—does it reflect your positioning accurately? Your logo, tagline, and even your company name may also need tweaking. It's critical to develop the tools that represent who you are, communicate your new brand, and shape your reputation. Your brand is the image you present to the world. Harness the power behind a brand strategy and your firm will be on the path to attract the best clients, most talented team, and strongest business partners. For more tips on building and implementing a strong brand, check out our Brand Building Guide for Professional Services. Hinge specializes in branding and marketing for professional services, and is a leader in rebranding firms to help them grow faster and maximize value. You can reach Lee at lfrederiksen@hingemarketing.com 703-391-8870.